Over the past 400 years Shakespeare's works have been staged innumerable times, with each new performance making subtle alterations to the original. Few of those productions, however, have made changes quite as extreme as what Penguin Random House has pulled off. 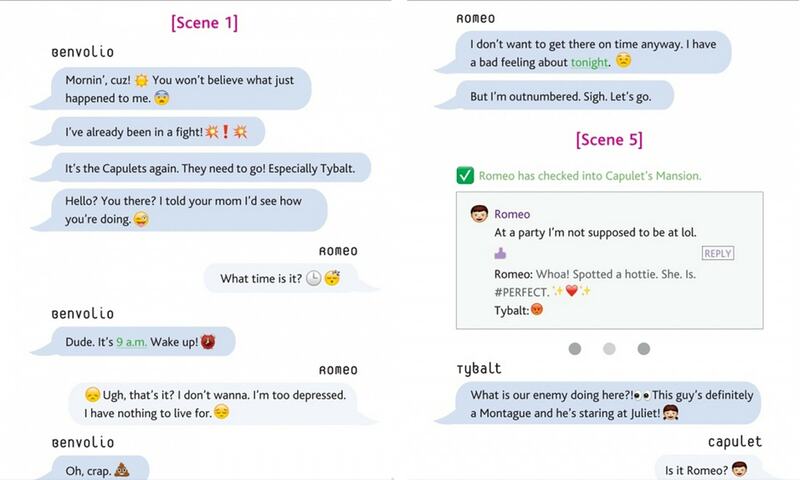 This otherwise respectable publisher has just released YOLO Juliet, a new edition of that classic title that replaces Shakespeare's stanzas with textspeak and emoticons. The first two titles are the fault of Courtney Carbone, while Brett Wright (an editor at Bloomsbury) is to blame for the latter two titles. While it is the norm for junior editions to be edited for age-appropriate content before being distributed into schools, and Shakespeare's works are some of the most translated titles of all time, the books listed above are not translated or edited. They are dumbed down to a degree and in a form which is simply loathsome. 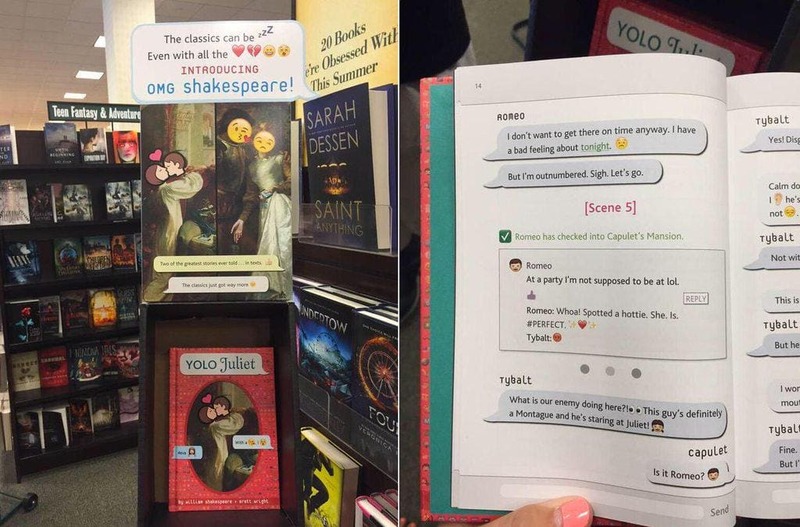 This is worse than a simple Bowdlerization; the OMG Shakespeare editions not only deprives the edited work of meaning, it also creates a work which is unintelligible to anyone who doesn't know the current slang. You might as well go read the Wikipedia listing, for all the connection you will have with the original work. Bowdlerize - To remove material that is considered offensive or objectionable from (a book, for example); expurgate. Alan Gribben achieved similar if briefer infamy a few years ago when he published expurgated versions of Huckleberry Finn and Tom Sawyer. Will Penguin Random House be similarly vilified for OMG Shakespeare? I would hope so, but I don't think that is stopping them from publishing the next in the series. I don’t usually disagree with you, Nate. But I thought this was pretty cool. If the Bard were here today I think he’d own a copy of the OMG R+J to put on his shelf right next to his Klingon Hamlet. I can see why you’re upset… but after a few beers, I bet this would be a hoot! That is one of the more unusual performances I have seen.